Kronos’ Quartet performance of Aleksandra Vrebalov’s Beyond Zero: 1914–1918, Wednesday night (Oct. 8) at Macky Auditorium, was the one of the most powerful concert experiences I can recall. Included in the performance are recordings that Vrebalov collected from the time of the war, including military commands, air raid sirens, inflammatory speech, the composer Bartók playing his own music, and ending with the chanting of Byzantine monks fading into deep silence. These imported sounds heighten the music’s impact. Beyond Zero is performed in front of a screen on which are projected archival films from the time of the war, restored by experimental film maker Bill Morrison. The film, most of it badly deteriorated, was scanned in high definition and includes both the original filmed images and the marks of deterioration—oxidation, discoloration and other forms of physical degradation. The sometimes ghostly images are evocative of a world long past, and in their imperfections are eloquent commentary on the war itself. There are many images that will long remain with me, but I will mention just two: the opening sequence, in which a flickering blue fog of discolored film gradually reveals an approaching line of early tanks, which seems to symbolize the world’s gradual but inexorable descent into mechanized war; and a large group of uniformed men whose image is consumed by the loss of the crumbling film, much as an entire generation of young European men was consumed by the war. The whole multi-media experience is far too much to grasp in a single performance. I didn’t know whether to watch the film, listen to the music, attend to the combination of music and captured sound, or simply admire the sheer hard work and technical accomplishment of the players. I for one will eagerly await the release of a DVD of Beyond Zero, so I can come to grips with all that it expresses. 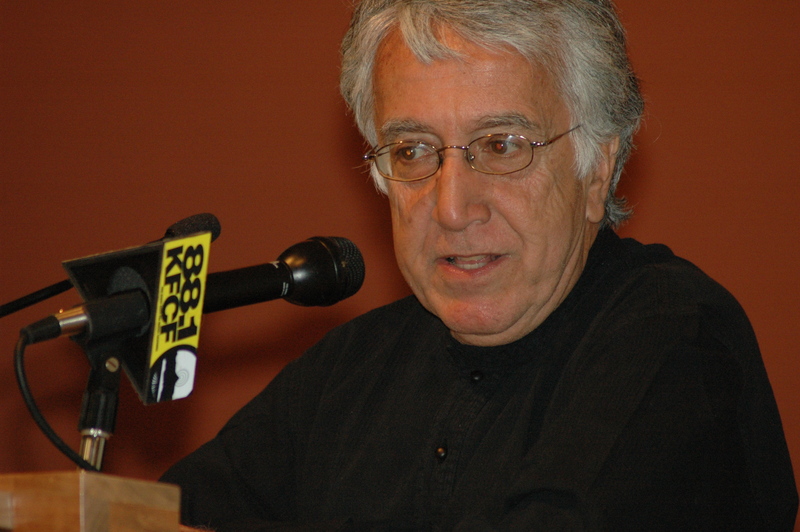 Beyond Zero was the second half of a concert that also included a world premiere and an appearance by David Barsamian of Boulder’s Alternative Radio. The first half opened with Death to Kosmische by Nicole Lizée. Kronos’ first violinist, David Harrington, says that Death to Kosmische is “sonic fun,” but you would not get the whole joke if you didn’t know that “Kosmische” is a form of East German electro-pop music from the 1960s and ‘70s. Knowing that, you hear the humor as the music sonically eats its own tail and ends in a burst of electronic distortion. Clearly, the composer was no fan of “Kosmische” music, and she revels in its death. Equally, Kronos relishes playing the piece, including a variety of electronic devices; their fun is infectious even if you don’t know what or whom is being threatened with death. Kronos next played the world premiere of Speak, Time, an accomplished score by Yuri Boguinia, a young composer who grew up in Boulder and now lives in New York. The score is an episodic exploration of sounds from the quartet, all skillfully knitted together by Boguinia into a mostly-balanced whole. I say mostly, because some sections seemed overly long in relation to the rest, but the music, which seems to trace an unspecified narrative arc, is intriguing throughout. David Barsamian was introduced to the audience as one of Harrington’s “favorite persons.” He has worked with Kronos several times in the past, providing spoken texts over their playing. On this occasion Kronos played four songs from Turkey, Greece, Poland and Armenia—cultures deeply impacted by World War I—as an informal prelude to the second half of the concert. Barsamian gave thoughts relevant to the first three countries, and played a recording of his mother, a survivor of the First World War’s Armenian genocide, for the last. Everything Barsamian had to say was articulate and appropriate for the occasion—although even in Boulder I don’t suppose everyone agrees with his left-wing point of view. Nonetheless, Harrington’s decision to bring him in for the performance strikes me as both meaningful and confounding. His words would have more impact if they were heard apart, without music that divided the attention and occasionally covered Barsamian’s voice. I for one would rather have heard the music—beautiful and touching folk songs that represent the kind of cross-cultural performance that Kronos does so well—and had time later to reflect on Barsamian’s literary contribution. 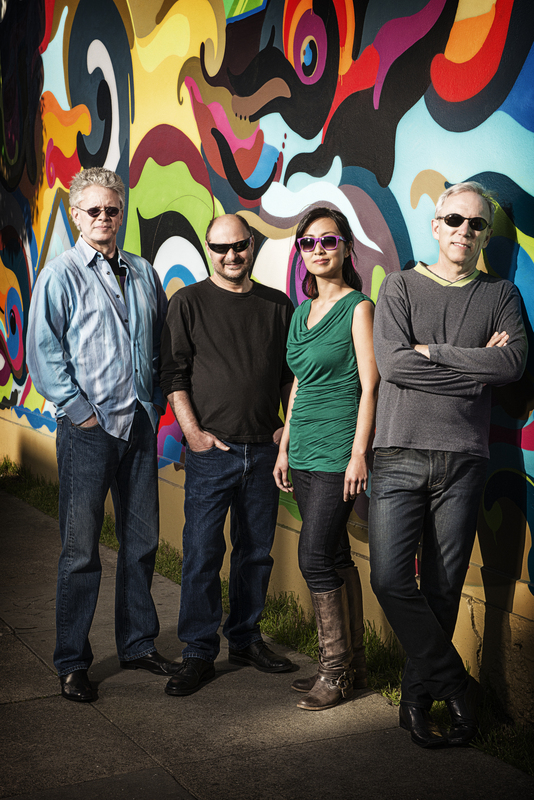 Kronos Quartet: David Harrington, John Sherba, Sunny Yang and Hank Dutt. Photo courtesy of Kronos Quartet. One reason for Kronos’ commissioning of Beyond Zero is the fact that as a country, we have largely forgotten World War I. In comparison to World War II, the “good war” of the celebrated “greatest generation,” it hardly registers in our consciousness. And yet we still live in the world that was created by the barbarity of the war and blunders of the post-war peace process. Harrington wanted to remind us all of that, and in that context Barsamian has much to say. But I am not convinced that making an artistic performance into a didactic exercise serves either the music or the message being conveyed. In the end, it is the music that matters. And because Kronos plays such exceptional and striking music, music that itself monopolizes our attention, it is easy to forget how good they are at what they do, and how their adventurous, passionate explorations have changed the musical landscape. Whether or not you like the music they play—and I admittedly don’t like everything they have done over the years—it is always worth hearing. From the most tender and gentle pieces to the most fierce and aggressive, Kronos crosses borders, explores limits, and takes us all along for the journey. They have been doing this for 40 years now, and remarkably all but the cellist are founding members. Such longevity is remarkable, especially when you see how physically demanding some of their playing can be. Whatever they do, they do it with commitment and technical polish. Long may their adventure continue! The Kronos Quartet, always bold, brings Boulder artists to Boulder for their appearance at Macky Auditorium at 7:30 p.m. Wednesday, Oct. 8. The concert will feature the world premiere of Speak, Time by Yuri Boguinia, who grew up in Boulder; and an appearance by broadcaster and writer David Barsamian, who founded Boulder’s Alternative Radio in 1986. Barsamian will speak while Kronos performs songs from the early years of the 20th century. 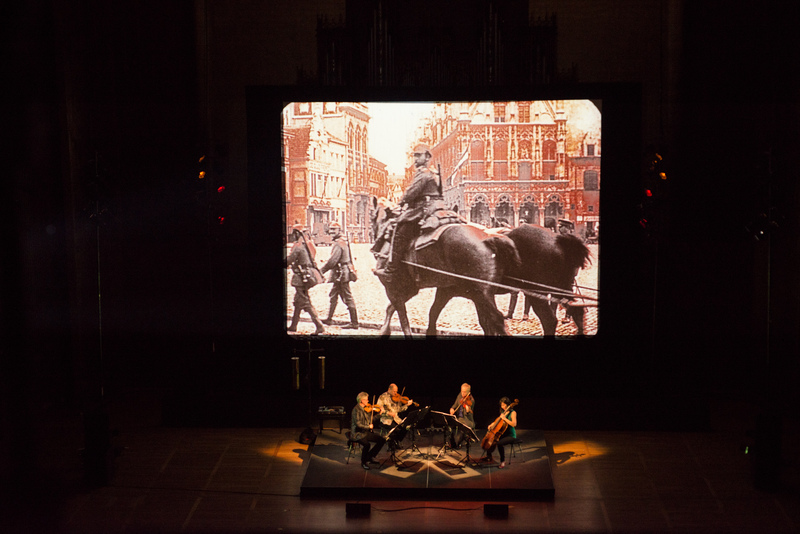 That performance will lead to the major work of the program, filling the second half of the concert: Beyond Zero: 1914–1918, a new multimedia work for string quartet and film that Kronos commissioned for the centennial of the outbreak of World War I. 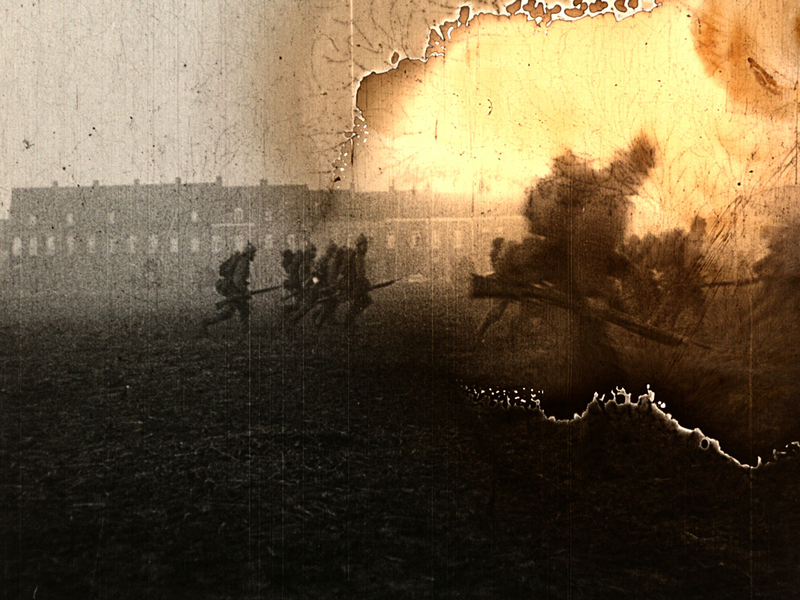 Beyond Zero was written by Serbian composer Aleksandra Vrebalov and will be performed with film restored by experimental filmmaker Bill Morrison from extremely rare and badly deteriorated original films of the war.